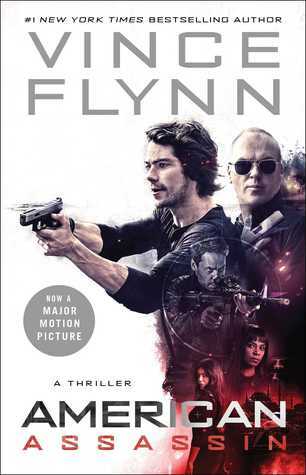 I am a huge fan of the Mitch Rapp book series by Vince Flynn. These amazing spy thriller novels are true to keep you up all night page turners! Since I am an avid book reader I find it hard to watch a movie that is based on a book and not picks it apart. You can ask anyone who knows me and they will tell you this is true. Here is what I noticed most after watching American Assassin. While a lot of the characters like Mitch (Dylan O’Brien), Stan (Michael Keaton), and Irene (Sanaa Lathan) are in both the book and the movie. A new character named Ghost (Taylor Kitsch) appears in the movie but was not in the book. A lot of what was in the book is not in the movie! There is no bomb at the beginning of the movie. Instead, Mitch and his girlfriend are on a beach and become the victims of a terrorist attack where his girlfriend dies. The book has it different and starts the story with his girlfriend being the victim of a terrorist attack on a plane involving a bomb. The movie has Ghost (Taylor Kitsch) being the main threat as a lone terrorist who is planning on using a nuclear bomb.